For a generation in the grip of the 'quarter-life crisis' too often cynics roll their eyes whilst others merely reinforce their blindspots. By contrast this book engages brilliantly with compassion, clarity, wit and most importantly much-needed, Christ-centred, grace-filled truth. This book is a gem - read it, share it with others and realise the difference Jesus makes! I totally loved this book. Witty, honest and painfully real, this book is a gem. I laughed out loud, I cried, I felt like Rachel could see into my head and she understood. 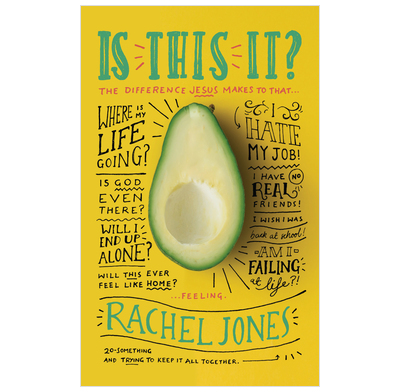 Better still, she showed me Christ and the difference that he makes to life’s questions.This book is so packed full of wisdom, I’ll have to buy in bulk as I know I’ll keep giving it away!